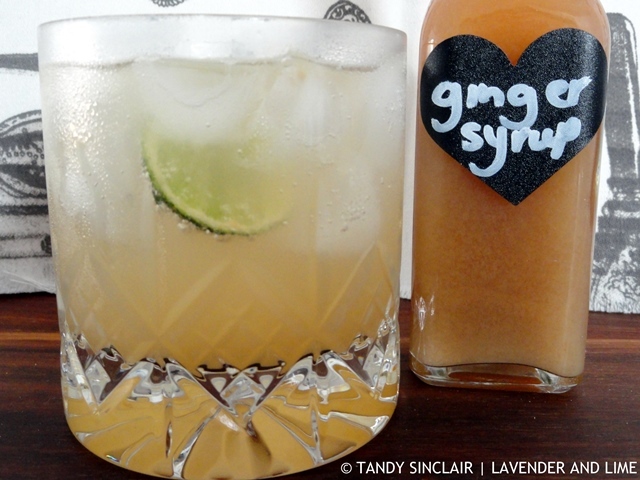 Make this ginger syrup to liven up water or soft drinks. Or use it in cocktails, especially those containing whisky. I have made a ginger whisky cocktail and will share the recipe with you soon. We have done everything possible to reduce our water consumption at home. This includes not washing our floor as often as it needs cleaning. After the fires we have had constant wind and that has brought soot into the house. The result is very dirty tiles and as I love to walk around barefoot, very dirty feet. My consumption of wet wipes has increased as I am constantly ‘washing’ my feet with them. I have invested in a floor steam cleaner so that the tiles can still be cleaned once a week. Not enough people have taken the water crisis to heart and they have used water indiscriminately. From being allowed 87 litres of water per person per day we are now restricted to 50 litres. There are plenty of lists doing the rounds about what one can do to save water. Some of them are totally ridiculous such as not bathing every day or not washing your clothes! Some are more practical such as buying drinking water. This is not only saving the municipal water we use, but is a necessity as we might be on water rationing soon. This will mean the water will be turned off at any time the council deems it necessary. I don’t particularly like the taste of plain water, and given a choice I will always go for soda water, or as my niece calls it, bubble water. Recently I have been adding flavourings to my drinks. I decided to make this ginger syrup using fresh mint from my garden. As we are not allowed to water my mint is dying. I did not want it to go to waste so have been using it up as quickly as possible. Dave and I are overseas in the United Kingdom. We will be back at work tomorrow. I will start replying to comments then. I won’t be able to read any blogs while we are away so please forgive my lack of visiting back. You can follow our trip by taking a look at our holiday blog. I can’t believe the dire straits we have arrived at regarding water in Cape Town. All due to lack of planning and incompetency. Great recipe, Tandy. And now when the farmers gift us their water the National Government decide it should really belong to them! Wow not bathing seems like a last resort! But I think some people (hubby included) would sort of love doing that. I have to insist that he showers lol. 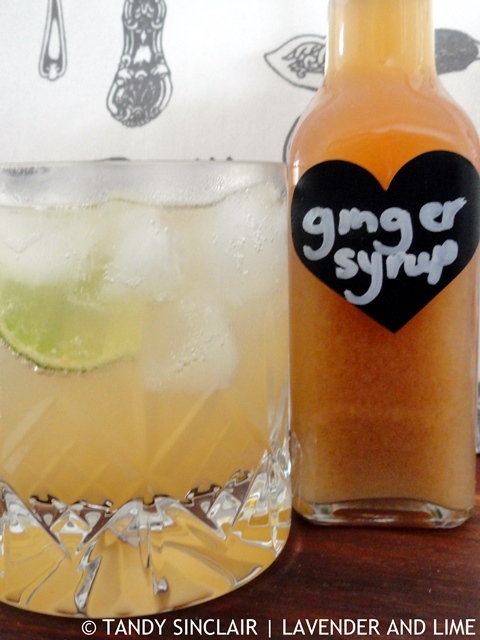 Love the sound of this ginger syrup! I love ginger, especially in the winter i drink a lot of ginger tea. This could be great for these hot summer days, gonna try it for sure, thanks for the recipe! Maybe I can send you some water? I live near the 5 great lakes and we are so blessed with a plethora of water. In fact, my yard is usually underwater and the creek in the backyard is almost always flowing.